The theme of this photo post is 'foood, glorious foood'. Yes, food with three 'o's. I've been tweeting about the subject a lot lately, so I thought I'd follow it up with some pics. 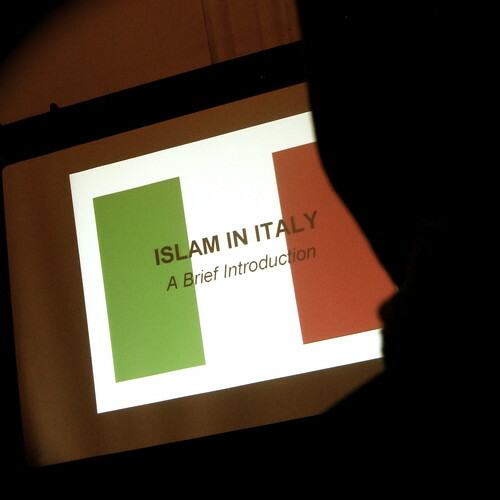 12:45 PM Apr 10th: I'm attending the Islam in Italy event this afternoon for one reason only… HALAL ITALIAN FOOOOD!! May it be as tasty as I imagine, āmīn! Unfortunately, I forgot to take pics of said tasty Italian lunch… ahem. 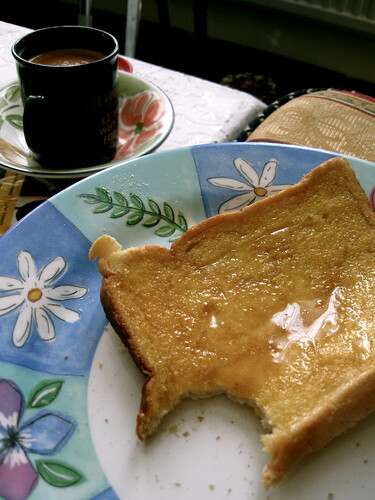 2:03 PM Apr 16th: Honey & marg on toast: one of life's simple pleasures. 10:37 PM Apr 20th: I had dinner @ Satay House. Ordered banana fritters as recommended by @Teakster, but the seabass was out of my budget. :) Pics up 2moro iA. 10:12 AM Apr 21st: I'm having an egg sarny & tea for breakfast. Couldn't be bothered with the flimsy pastry route! Umm… I had eaten my 'egg sarny' by the time I had the idea to take a pic of it. 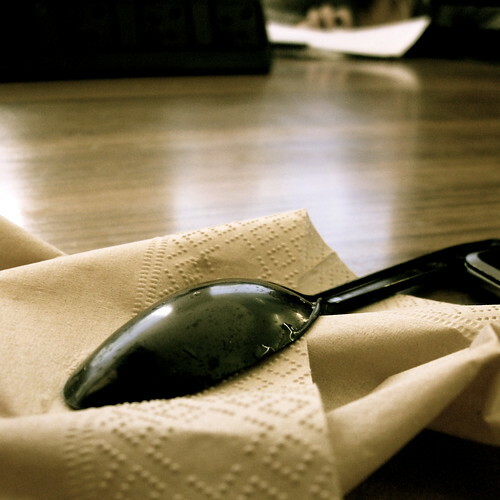 I only shot the spoon to kill time whilst waiting for my meeting. I did have a photo of my tea, but it doesn't seem to be on my pen drive anymore (I'm uploading these pics at uni, whilst MacBook is in for repair). These are very beautiful pictures. Inshallah, would love to see more.